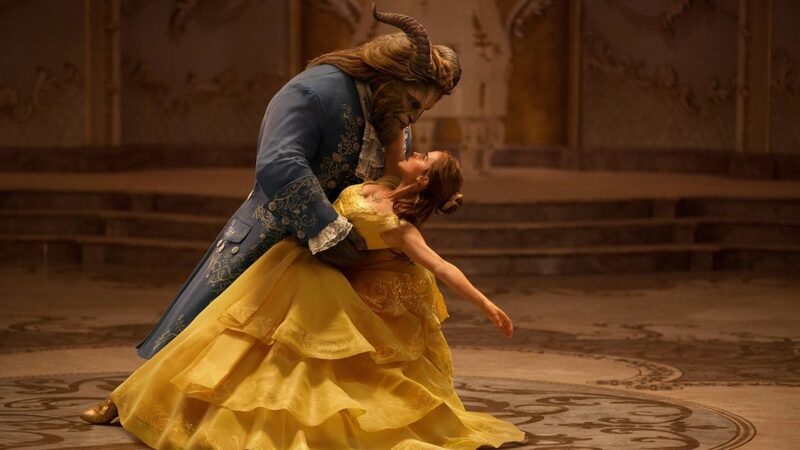 Disney’s remade “Beauty and the Beast” struggles to find its own simple magic. “Who could ever learn to love a beast?” Disney’s 1991 animated classic of Beauty and the Beast poses this question. So does the new live/animated remake. But in the animated film you learn and feel the answer, whereas in the new one you re-learn the answer but may not feel it as simply or magically. Yes, director Bill Condon’s film is getting rave reviews (and some culture-wars controversy you might have heard about). I saw the new film Saturday afternoon, and rewatched the 1991 animated film that same evening. And I found the new film cluttered with side characters that often overwhelm the titular Beast and Beauty’s central story. They often serve to distract from this version’s own underdeveloped ideas. Cast members seem to struggle between animated or realistic behaviors, leading to tonal clashes. In my theater’s sold-out showing, the audience sat silent as if confused, with rarely a laugh, gasp, or sob. Perhaps all along this was the hazard of Disney’s live-action adaptations trend—a hazard avoided by other remixes/remakes, such as last year’s The Jungle Book and Pete’s Dragon. You know the time-old tale: beautiful, intelligent peasant Belle lives with her tinkerer father in a provincial village. She pursues reading, such as classics and fairy tales, and eludes the pursuit of the positively primeval self-absorbed hunter Gaston. But when her father is captured, Belle sacrifices her life for his, and is forced to live in the enchanted castle of a Beast—a former prince who must learn to love and be loved to regain humanity. There’s plenty to like about this Beauty and the Beast: competent casting, a functional script that mostly faithfully adapts the 1991 film, and fairly good animation and effects work. Unfortunately, the purist adaptation impulse seems to overwhelm and smother this film’s own ideas and identity. One should want to like a film for what it is, not what you wanted it to be. But in this case I’m not sure this Beauty and the Beast knows what it wants to be. Beauty and the Beast: live-action? Is this film its own live version? When its creators chase that goal with some commitment, you can see the potential. For example, I loved the reappearance of one minor character: a figure crucial to the story but limited to the animated film’s prologue. I also enjoyed the Beast’s magical book that can take (or show?) Belle anywhere in the world without leaving the castle. These ideas feel natural to the story, as if they were cut from the original fairy tale for the previous film. Yet this version doesn’t do much with these new ideas. Nor does the cast have much room to make these roles their own. 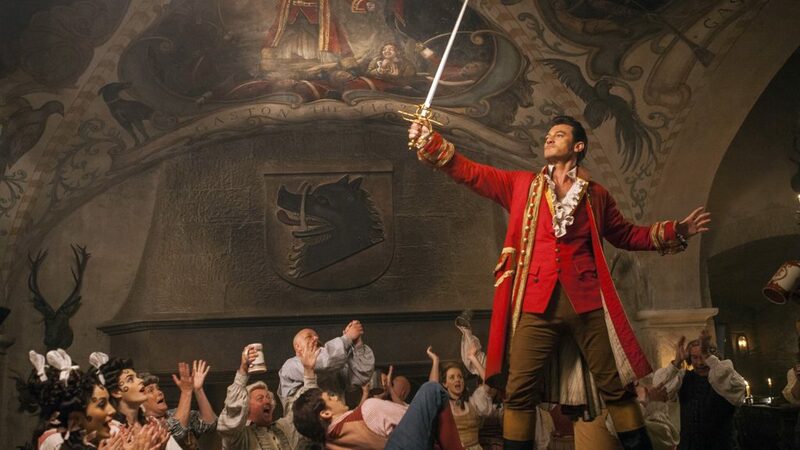 Luke Evans as Gaston (last seen successfully slaying another beast in The Hobbit’s latter two films) comes closest. But Emma Watson (famous as Hermione Granger from the Harry Potter films) can only hit her beats and notes as best she can; she seems more intimidated playing Belle. Her father, Maurice, is there. The Beast (Dan Stevens) does all right. And the now-infamous LeFou (Frozen’s snowman Olaf, Josh Gad) preens and prances. His overall effect is not so much “gay” as simply annoying. I also struggled to hear his and Gaston’s rendition of the villain’s song, complete with lyrics cut from the animated film, under all other clamor in their pub. Their roles also crowd out Belle and the Beast in lavishly decorated but cramped sets: the village, Gaston’s pub, the Beast’s castle. 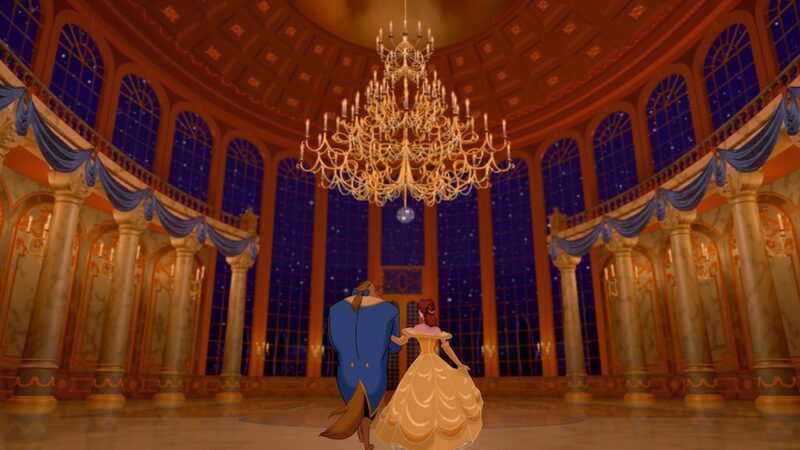 Even this film’s version of the classic film’s famous ballroom dance scene is teeming with more animated enchanted objects. And it doesn’t help that the animated film’s lofty architecture of gold and pillars (rendered by then-groundbreaking computer graphics) is here replaced by a smaller set with low ceilings. Occasionally the camera adds perspective by panning out to larger aerial shots. But unlike in The Jungle Book, you can see the seams between film set and computer-generated world. If Belle wants to find adventure in the “great wide somewhere,” she’d best leave this castle. Beauty and the Beast: animated? Or is this film a straight adaptation of the animated classic? 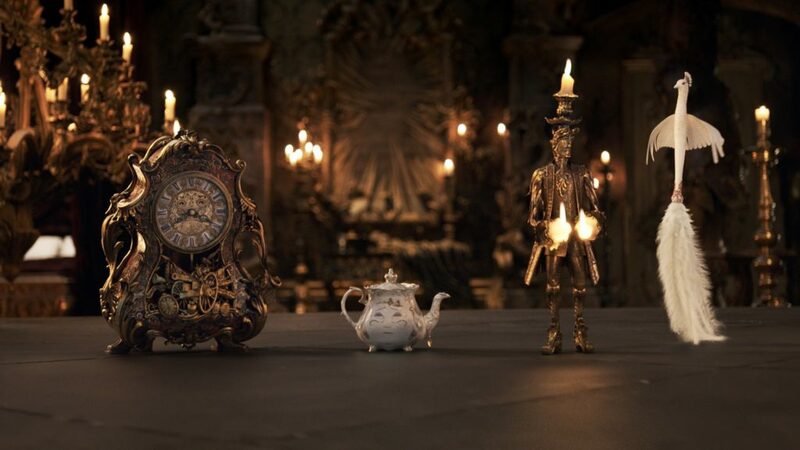 Often it tries, and the effect can be unsettling, particularly when live humans share the screen with the enchanted CG-animated objects (including Ewan McGregor’s Lumiere and Ian McKellen’s Cogsworth). Designers chose to have these famed sidekicks act like cartoons while appearing realistic, with uncanny-valley results. Mrs. Potts sounds quite lovely (thanks to Emma Thompson), but her appearance—a face painted on the teapot—resembles Cassandra from Doctor Who. Meanwhile, when the human characters feign to mimic the animated film, they release all weight from the story. This seems most apparent during the climactic “kill the beast” castle invasion, when live humans flail their arms (arm-flailing is funny, right?) versus animated objects. At this point, I couldn’t help losing all interest, and not because of the previous film. Perhaps most sadly, the story isn’t interested in enhancing or exploring its own ancient theme of redemption through love. No one’s talking about the story’s new character: a sort of Catholic priest who owns the book Belle borrows. His wall sports a large wooden crucifix with Jesus figure. (And to the film’s credit, only this priest appears shocked during Gaston’s rally to kill the beast.) But he’s only there for decoration, like the castle’s ornate filigree. Alice in Wonderland (2010) and Maleficent (2014) mostly worked because they aren’t remakes but remixes of the same stories using only the same characters. Little about them is faithful to their Disney origins other than the title and some designs. They have entirely different plots, and in Maleficent’s case, an entirely different hero and villain. The Jungle Book (2016) followed a plot better than the original animated film, and only took a few of that film’s songs. Its creators even returned to the original Rudyard Kipling book for inspiration. They focused entirely and poignantly on the theme of Mowgli the man-cub being truly special among the creatures of the jungle. My personal favorites, Cinderella (2015) and Pete’s Dragon (2016), offered truly fresh takes inspired by the original material. Directors Kenneth Branagh and David Lowery respect and tribute the Disney originals, but feel free to explore other angles. Branagh brought Cinderella‘s heroes, Cinderella and the Prince, into earnest focus, and dispensed with talking mice (who barely make a cameo). 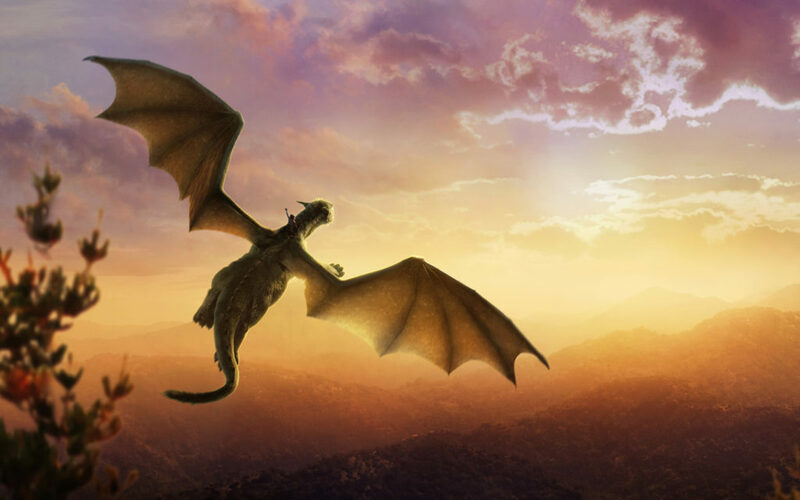 And Lowery cut all the songs from Pete’s Dragon and shifted settings; he made Elliott more grounded and less cartoony. I might have enjoyed this Beauty and the Beast more if it had followed these examples, and focused more on Belle and the Beast, while limiting its animated sidekicks (including LeFou) to subtler roles. At least the enchanted objects could have become more grounded to match what on first glance appears to be a more serious and even human treatment. Even better, the story could have engaged more fully with its own deep and even spiritual magic, starting with the central question “who could ever learn to love a beast?” Yes, the obvious answer is “beauty,” but we didn’t just need to be retold this answer. We need to see and marvel at how Belle learns to love him, and what sort of person she has been to do it. We also needed a simpler story so the magical images could shine and burst forth and rain down. 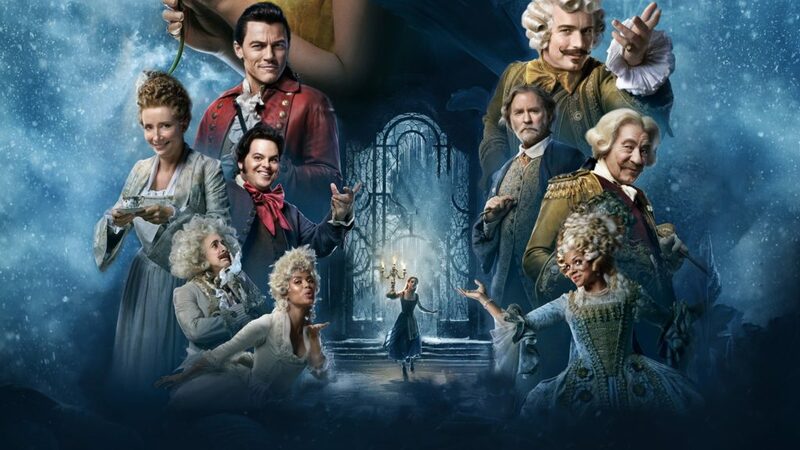 But in this film’s version of the pivotal climactic moment, when all is lost and before the Beast is brought to resurrection, the story cuts from Belle weeping—to show all the sidekicks turning into ordinary objects. Right there, near the very end, this story’s strong heroine must compete with accessories, as endearing as they may be, crowding the frame. Maybe when I see this film again, “there may be something there that wasn’t there before.” But when the film juggles and crams in five dozen uncooked objects, leaving little room for the first film’s heart, that leaves me wanting much more than this provincial remake. What do you think about those who say the Beast looks a lot like Baphomet? Research who Baphomet is if you don’t know. Or maybe the influence could be Pan — who was also the inspiration for Baphomet. In the French version made back in the 40’s (good movie, BTW), he was intended to have been stag-like in reference to the myth of Actaeon, but he ended up more lion-like (my guess because antlers would have been too difficult to pull off). Chances were that the live-action remakers were trying to distinguish theirs juuust enough from the animated one by going more goat-like than buffalo-like with the horns. But there are probably a porpskillion dissertations about animal-husband/wife folktales and the shades of meaning attached to which animal the bestial part was, all floating in the nether-world of EBSCO. I found the washing-machine bit to be rather implausible. Given how hard it was to do laundry in pre-industrial times, I highly doubt the women would object to an easier way to do it. If anything, they’d be fighting over who got to use it first!